Written by bekarice on April 10, 2018 Blog, Membership sites. There are a lot of different models for a membership site, so it can be difficult to know how you should set it up. What types of setups are possible? What tools are available for your desired setup? To determine what setup is best for your WordPress membership site, you’ll need to define what your site should do, how you interact with members, and what the interaction between members looks like. What doesn’t qualify as a “membership” site? Before we get too far into “what your membership site should look like,” let’s pause for a second to cover some definitions: What is a membership site? What does not qualify as a membership site? A membership site provides different types of access, perks, or content for some, but not all, visitors. Notice something important about this definition: It has nothing to do with how members get access, whether or not you sell access, or how that access is sold. Selling an item using recurring billing refers to a subscription site. A subscription site isn’t necessarily a membership site, but memberships sites can have a subscription element. Subscription sites, like subscription boxes (e.g. snack boxes), magazines, or other items that are delivered on a regular schedule, often use recurring billing features to collect payment. WooCommerce Subscriptions is a fantastic place to start when building a site based on a recurring billing model. 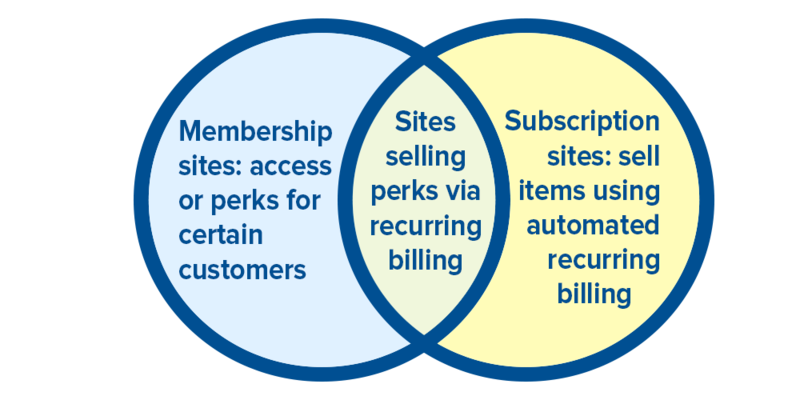 While many membership sites use recurring billing to sell access to members, recurring billing doesn’t form the basis for a membership site: differentiation between the users, customers, or visitors on your site does. If you’re looking to differentiate between pricing or content access, then read on about building a membership site. Regardless of what kind of membership site you want to build, there are a few concepts that will remain relevant. First, you need users on the site. These users can be customers, visitors, or members; regardless of what you choose to call them, you need to have a way to store information that belongs to the user, such as the type of access the user should have, the kind of billing to associate with the user, and other details. So let’s put a big ole checkmark next to that for WordPress! WordPress has a built-in system for users and capabilities, which can be leveraged when building your membership site (and indeed, these systems are used behind-the-scenes by most membership plugins). WordPress users are built-in, and tools already exist for you to manage them. Next, you need perks for the membership — what’s the point of becoming a member? For many sites, this is some kind of content: exclusive articles or blog posts you get to read, courses you can learn from, or products only members can buy. In some cases, this may be an interaction with other members, such as a members-only forum or directory. This is also a win for WordPress! Because it’s been designed from the ground-up to be a content management system, WordPress is perfect for any content-based membership. Not only can you easily add content to your site, categorize, and share it, but you can often add custom content types via plugins, such as courses or products. WordPress is also great for interaction between members. Using plugins like bbPress, you can create forums for members to chat with one another, or use BuddyPress to create user groups and profiles (just be aware that a plugin that stores a lot of data like BuddyPress may require more advanced hosting requirements). So what else do you need? To round out our list, you need a way for people to become members. This is often done via a registration form, or a sales process that lets people pay to become a member. The latter signup flow is one where WooCommerce shines, since it’s geared towards selling everything, including memberships. What kinds of WordPress membership sites are out there? Before we talk about when WooCommerce is a good option for your membership site, let’s figure out what “type” of site you’re building. Here’s a list of common types of WordPress membership sites (though as a bonus, these sites do use WooCommerce for their memberships!). Directory or association sites are a small but interesting niche of membership sites. They often feature listings or directories of members on the site that are public or for members-only access. Members typically pay either to be listed on the site, or to get access to a list of other members on the site. Directory-type sites often tie to some sort of “real world” membership — one in which members have a certification, attend events, or network with one another. The Academy of Professional Family Mediators site is a good example: members are added to the site directory (though they also have access to training materials and other restricted resources). Community sites focus on helping members connect with one another. These sites typically either sell access to a network or access to some social component like a forum (which is where bbPress typically comes in). 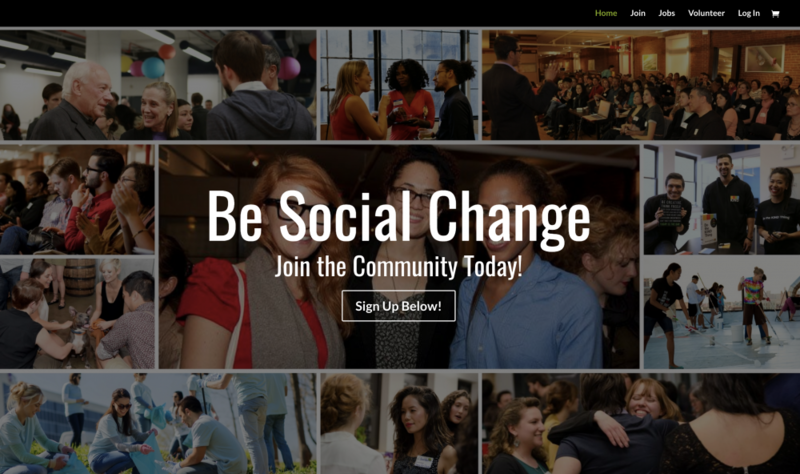 Be Social Change is an example that sells access to a network of members who want to build a more socially-conscious lifestyle; members get access to a network along with members-only events. Seattle Investors Club is similar, selling access to a group of real estate investors in the Seattle area, with access to a private Facebook Group, training, and events. Sites devoted to online learning make up one of the most popular types of WordPress membership sites. These sites typically sell access to courses, tutorials, video guides, mentoring, or webinars. Often, these sites pair a membership plugin with a course management plugin (like LearnDash, LifterLMS, WP Courseware, or Sensei), then give members access to courses. PHLEARN is a great example of this type site, which helps any member learn how to use Photoshop or other Adobe products. 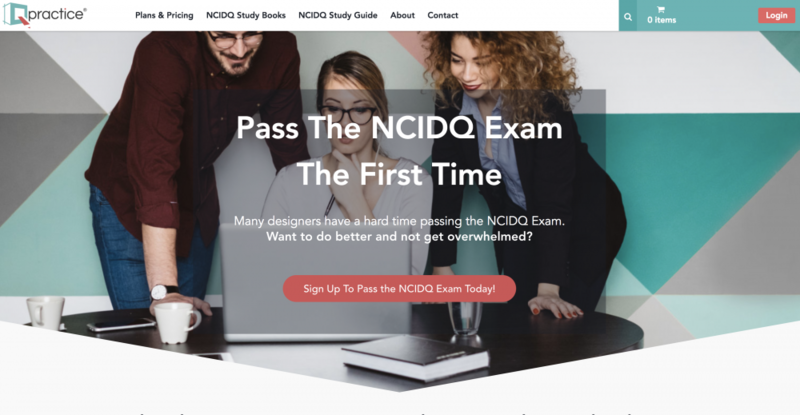 Qpractice is another that helps interior designers pass the NCIDQ exam with curated study materials and courses for aspiring designers. News or content sites offer curated or exclusive content to their members. These sites are usually born from a large blog or social media following, and offer members access to posts or content that’s not available to “regular” followers or readers. Yarn + Chai is a site at the intersection of learning and content: it offers patterns and materials selection advice for crocheted apparel. This content is free for non-members, but members can pay to get ad-free patterns and tutorials, or purchase an all-access pass to view all available patterns. Post Status is an example of a content-focused membership site, where members get access to exclusive blog posts, notes, an email newsletter, and offers from media partners. This is the kind of membership many eCommerce sites are familiar with: giving either exclusive purchasing access or discounts to members. Craft Can Directory is a great example. Site members are able to purchase certain brews that aren’t available to all customers in the shop. Members of The New Tropic get discounts on products and event tickets, and can submit events of their own, while non-members pay full price for all products and events. Amazon Prime is a take on this type of membership: rather than using the product as the member perk, however, they use cheap and fast shipping instead. You can create a similar set up using WooCommerce Memberships; the ability to offer free shipping to members was added recently in version 1.10. Finally, we’ve talked a lot about B2C sellers — what about businesses selling to other businesses? Many sites need need the ability for a purchaser to manage a set of members for their company. This setup is often used for corporate learning sites or wholesale sellers so that multiple customers from a single “company” or team can have access tied together. Machines Room is a unique example of a corporate membership site: they sell access to their maker space to companies. A company can sign up for a number of memberships, and then these members can book machine training and time slots with fabrication machines. When is WooCommerce right for a WordPress membership site? WooCommerce is a great fit for many of these types of membership sites since you can sell access to WooCommerce products in your store; use one-time or recurring billing; restrict access to blog posts, custom content, products, or discounts; and sell access to individuals or groups of members. Association or directory sites are the least adaptable for WooCommerce, as it doesn’t have a profile-management system built in. While members can update their checkout data, such as address details, WooCommerce and its extensions aren’t geared towards registration forms or profile creation with custom fields. This setup is possible (Gravity Forms + User Registration is a great tool for this! ), but depending on your ideal setup, you may want to enlist an expert help to determine if WooCommerce is the right fit and to assist in building your site exactly how you want. If the directory isn’t the main focus of your site, then you can implement a simple directory using a shortcode with a free Memberships add-on as well. Otherwise, if the main component of your site is the member directory, I recommend considering Ultimate Member or other directory-focused plugins. For community sites and learning sites, WooCommerce is a great option since you can use WooCommerce Memberships with bbPress, Sensei, and many other community or courseware plugins (many learning-focused plugins have built their own WooCommerce integrations). WooCommerce is a good option for news or content sites as well, given its ability to be used with blog posts, pages, and other custom content. Restricting courses, posts, pages, products, and other content can all be done within the same management areas. For memberships geared towards product access or corporate purchasing, WooCommerce really shines. Because you’re already selling products via an online store, adding a membership component to your store should be seamless. Using WooCommerce lets you build a store in which your product and membership sales are closely connected. For corporate purchasing or wholesale, WooCommerce also provides robust team management via the Teams for Memberships add-on. This lets you not only sell individual memberships, but sell team-based memberships with team account management as well. Check out this overview from Chris Lema on this corporate purchasing model. What do I need to build a WooCommerce membership site? What perk does someone get when they become a member? What does your relationship with the member look like? Do you deliver content, courses, or have other interactions? What does the relationship between members look like? Are there social components to their membership? How do you give someone access to the membership? Are they registering or paying for the membership? And if members are paying, what do you want billing to look like? Should renewals be manual or automatic? WooCommerce (free): (Of course!) This forms the basis of your store when selling access to a membership. WooCommerce will control your product listings (including the memberships and / or subscriptions you sell) as well as your checkout process. WooCommerce Memberships ($149): When you want to restrict areas of your site (such as blog posts, pages, products, or custom content), use Memberships to do so. You can sell access via a product in your store, restrict content for members only, or grant membership access upon registration. You can also use Memberships to offer product discounts and free shipping. WooCommerce Subscriptions ($199): If you want to offer automated recurring billing, you’ll need WooCommerce Subscriptions, along with a subscriptions-compatible payment gateway ($0 to $199). bbPress (free): bbPress is popular among membership sites to add forums for member and community communication. Teams for WooCommerce Memberships ($129): Teams adds corporate, family, or team capabilities for your memberships — sell to a group of members instead of an individual member, and let an owner manage billing and access for a team. MailChimp Sync for WooCommerce Memberships ($49 – coming soon! ): Sending newsletters as part of your membership? 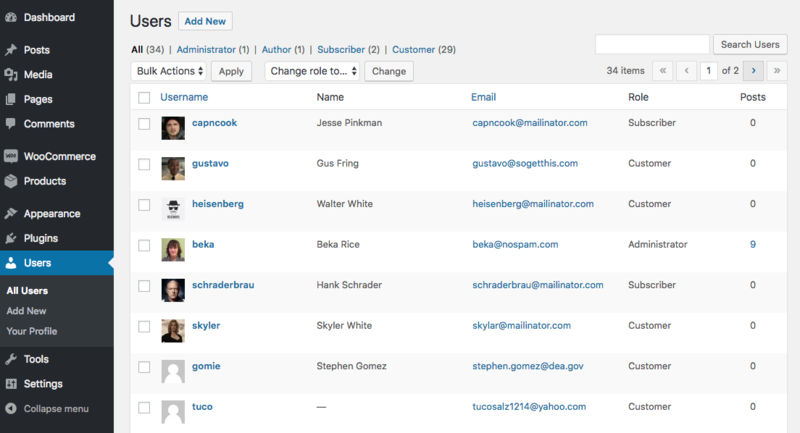 This plugin will keep your members list in sync with MailChimp, including the current member status, so you can segment your emails using membership data. There are also other free add-ons for WooCommerce Memberships to improve Sensei compatibility, add a shortcode for a members directory, and more. WooMembers Bundle ($299): If you need both Memberships and Subscriptions, check out the WooMembers Bundle instead, which gives you both plugins, a few other extensions, and several premium child themes. Finally, because WooCommerce and WooCommerce Memberships are built into WordPress and use the core WordPress user functionality, they’re compatible with many other plugins, such as other extensions, plugins on WordPress.org, learning or course plugins, and more. The cost of building your membership site can range from $149 to $626 per year, depending on which extensions you need, and which payment method you use. You may end up spending more if you purchase additional extensions or courseware management plugins. The average price of membership components for most membership sites I’ve worked with is $378 (WooMembers bundle + a $79 payment gateway integration). You will have other costs (such as hosting each month), but most sites cover their membership needs with Memberships, Subscriptions, or the combination of the two plugins. Whether you’re building a site for yourself or a client, being clear about the type of membership site you’re building, how billing will happen, what members should get, and how you communicate with members will help you determine the best tools and setup for your site. Nice to see the various tools and options available for creating membership sites with WooCommerce and WordPress. Membership sites require careful planning and a little more work than your regular WordPress sites that’s why knowing the various options and plugins available makes life easier for users. WordPress + WooCommerce Memberships (and Subscriptions) is a great content platform for all sorts of membership sites, and offers a lot of flexibility. It’s important to remember the different ‘paces’ of IT systems. Membership organisations (e.g. associations, trade bodies etc.) often operate more than just a website. This calls for a ‘system of record’ (membership database) that is longer-lasting than ‘systems of engagement’ such as the website. Building the membership management system into a website in such cases leads to undue complexity. A great approach here is to marry a WordPress + WooCommerce Memberships site with a separate member database app. This is a really great article if you want to build membership site on WordPress by yourself. But there is a lot of work that goes in, having time to do this consistently, patience etc. I would recommend, the best way is to hire an agency like https://streetsmartbusinessgrowth.com/services/membership-sites/, that would get it done for you. You just need to focus only on the main things like the content, rest technical stuff for making and promoting is left for them. Great article. I actually started a consulting company that has a directory component to it. I will be using WooCommerce Memberships to limit access to certain CPTs for clients (members) only. For the profiles and registration and I will be using Registration Magic which is a good alternative to the Gravity Forms implementation. We just built a new site for a customer and membership limitation for access will come in handy for adding incentive to subscribe on the website. What would you endorse for an academy in German language? Hey Thommy, I’m not too familiar with all German requirements, but there is a WooCommerce Germanized plugin geared towards helping Woo stores comply with local regulations that may be of interest to you. Great article, do you know any plugin which handles global taxation for woocommerce based sites ? Hey Faraz! I’d check out AvaTax for this, which uses Avalara’s services to automatically determine tax rates. Great Article! It’s very extensive exploration of the topic of “Building memberships website with WordPress and WooCommerce” – it should be very useful for people that are new to this (especially since there are so many memberships plugins in the WordPress ecosystem). Great overview! I wanted to throw in a suggestion for the part where you talk about possibilities for forum / community platform integrations. We’ve been using Discourse (https://www.discourse.org/) for our forum and it’s super great — fast next generation functionality, and they even have a WP plugin to make it simple to integrate with a WP / Woo site. I’m not affiliated with Discourse beyond being a user excited about what they’re building; I think they’re clearly front of the pack when it comes to modern forum software and love that they’ve made WP integration a priority. Note that typical setup is to host separately on a Digital Ocean droplet, but it’s fairly straightforward and runs just $5-10 / month to start. I stumbled upon your article while searching for subscription models available for a Woocommerce in WordPress. From explaining the types of memberships site to create one, the information is crystal clear.